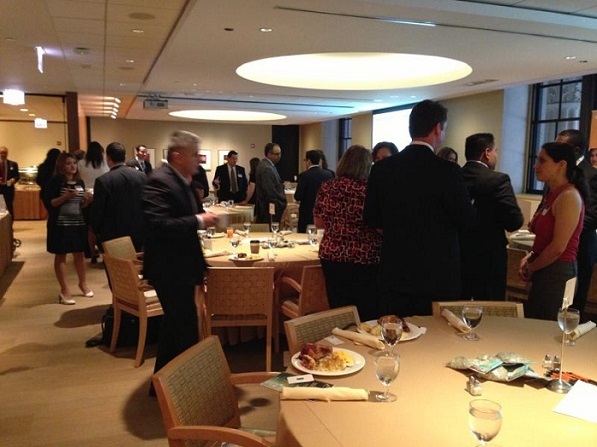 Hispanic Executive attended the 2013 ALPFA Chicago Executive Leadership Summit yesterday, July 22nd at the Federal Reserve Bank of Chicago. The working theme of this year’s leadership summit was Value-Based Leadership. Guests were welcomed by Chicago Fed Senior Vice President Valerie Van Meter and the morning’s keynote speaker was Harry Kraemer, former chairman and chief executive officer of Baxter International Inc., now partner of Madison Dearborn Partners and clinical professor of management and strategy at Northwestern University’s Kellogg School of Management. Kraemer shared lessons from his recent book, From Values to Action. 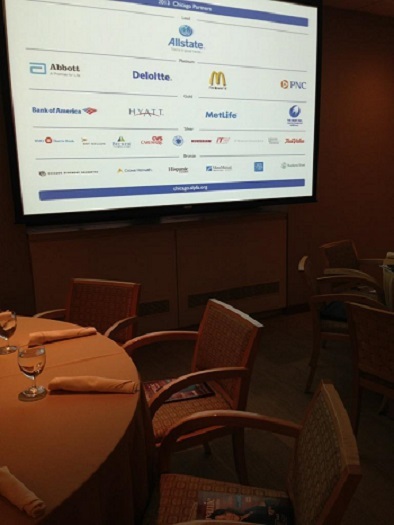 Hispanic Executive was a proud Bronze sponsor for the leadership summit with copies distributed to all attendees. Check out a brief photo recap below! 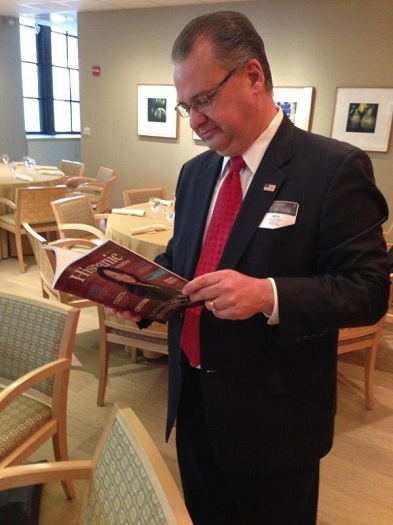 Jerry Campagna with a copy of our summer issue at the 2013 ALPFA Chicago Executive Leadership Summit, Chicago. 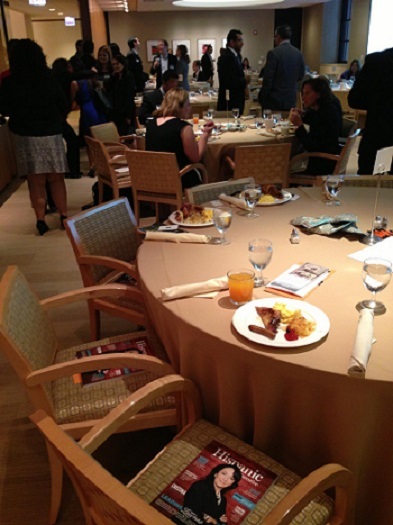 Guests were able to take home a copy of Hispanic Executive’s summer issue.